Hooray! 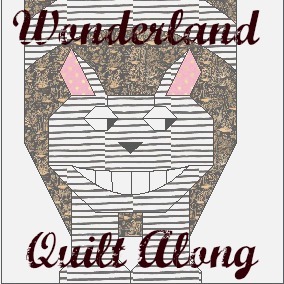 I am starting a Wonderland Quilt Along next week. Do you remember the quilt? It will finish at 46" x 60" with 3" borders attached, 40" x 54" without. I'll introduce one block a month for the year until we reach the final layout by the end of 2018. 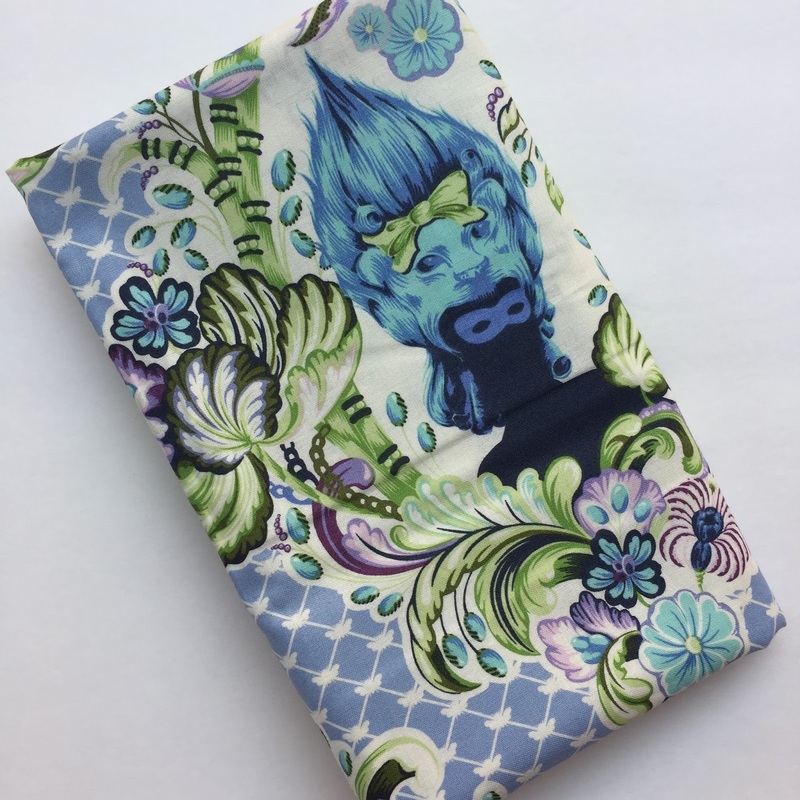 I originally made it up in C + S Rifle Paper Company Wonderland fabrics, which you can find at The Confident Stitch or Fat Quarter Shop. Riley Blake's Wonderland Two at The Confident Stitch (also at Fat Quarter Shop), Blend's Wonderland, or Springs Creative Disney fabrics would be nice options too. 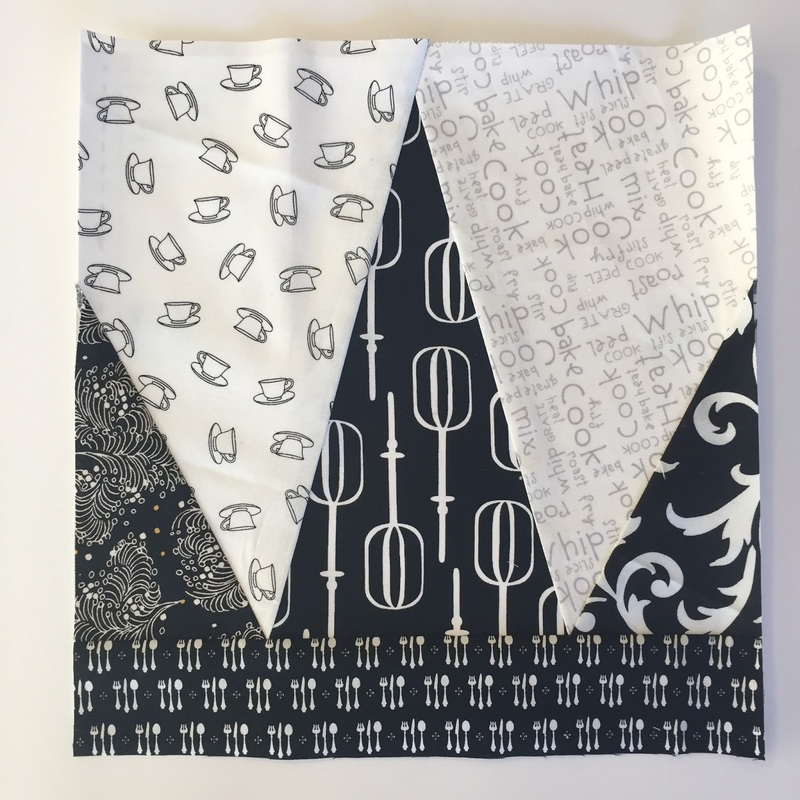 My Quilt Along rendition will be in Angela Pignel's Curious Dream for Windham, which you can find at Fabric.com or Fat Quarter Shop. 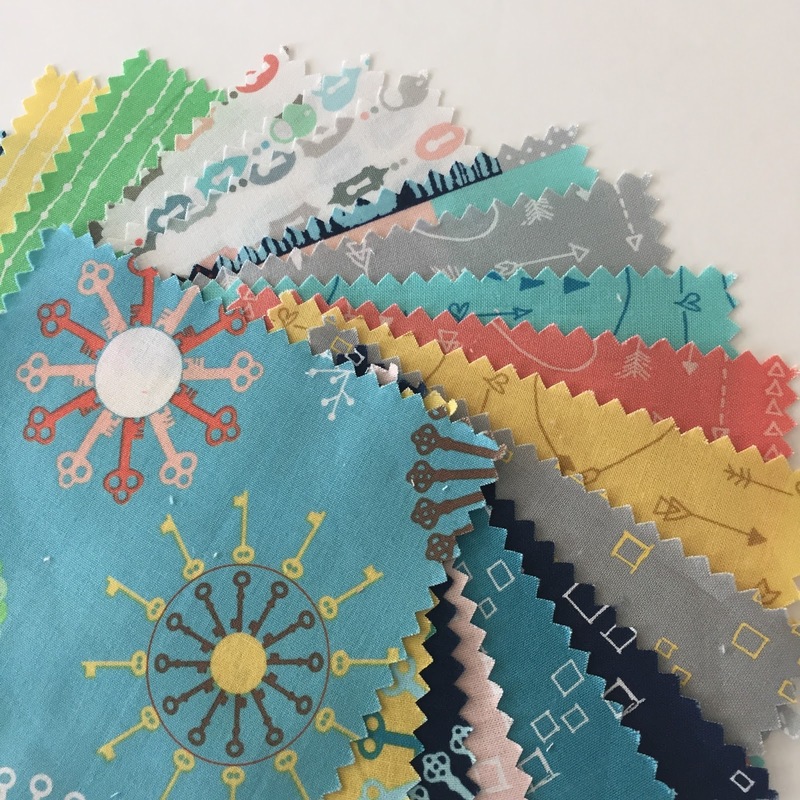 Fabric requirements are approximate, as the amount needed will vary depending upon your familiarity with paper-piecing (since many of the blocks employ this technique). 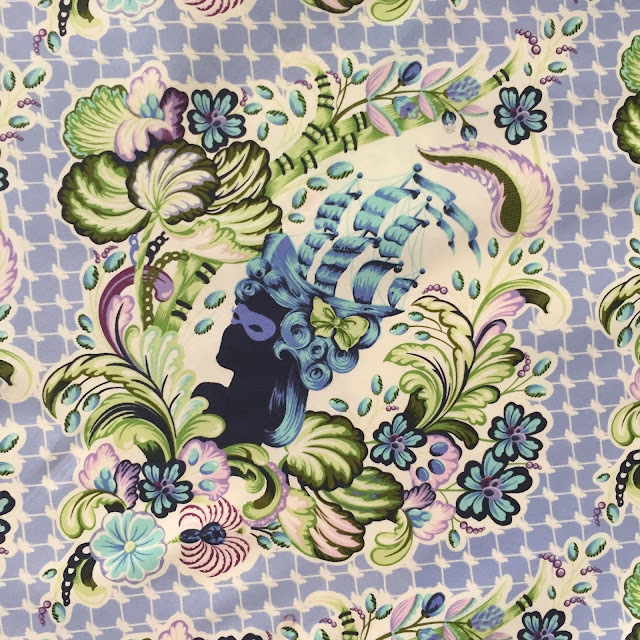 Using non-directional prints (no matter how you turn them, they still looks equally upright) will also make things easier and more efficient. 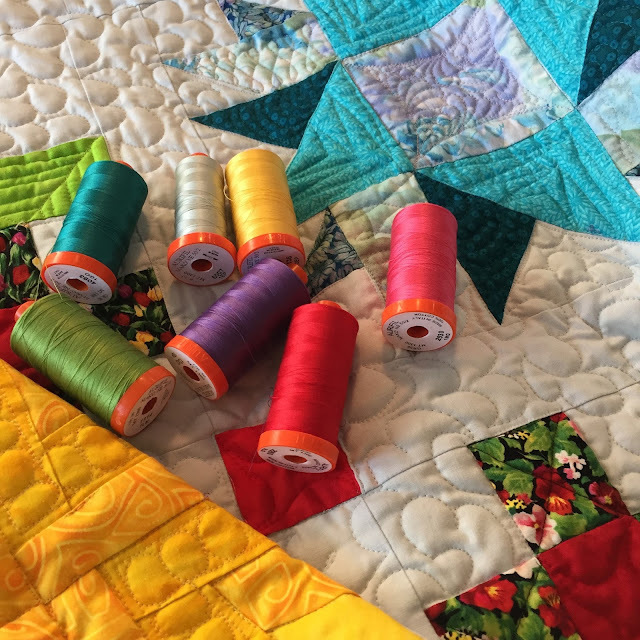 I recommend using quality quilting cottons that feel nice and will wear well whether you purchase at a local quilt shop, online, or a big box store. I like to stick with quality brands I trust including Art Gallery, Robert Kaufman, Wyndham, Michael Miller, Cotton + Steel, Riley Blake, etc. I have an announcement! No people, I'm not pregnant, even if that's what Amazon thinks. 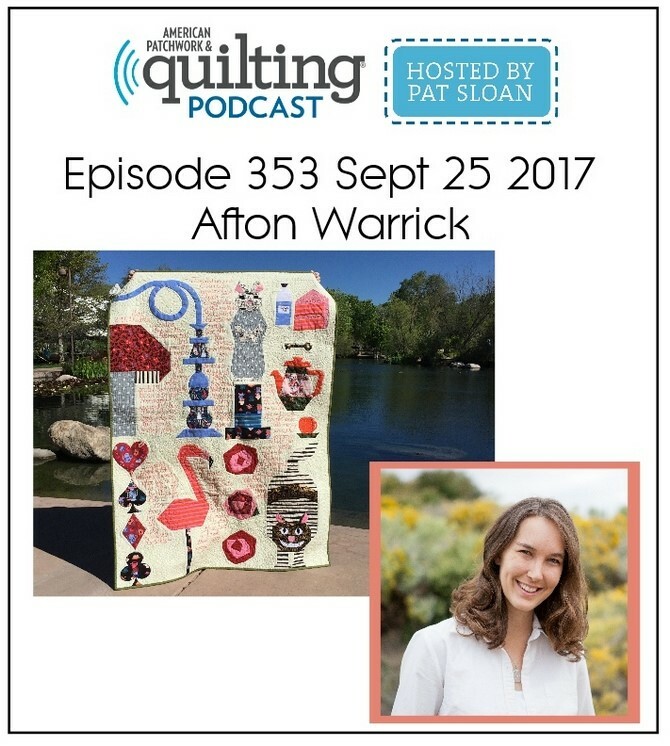 I'm going to be a guest on American Patchwork & Quilting hosted by Pat Sloan. Tune in to see how many skeletons I can pull out of the closet in a dozen minutes flat. It's a live show, so there won't be any editing. I hope this doesn't go down like on Project Runway when a designer neglects to use a discerning eye and the judges start to question the contestant's taste level. In other news, I finished my block for Simone of Quiltalicious. 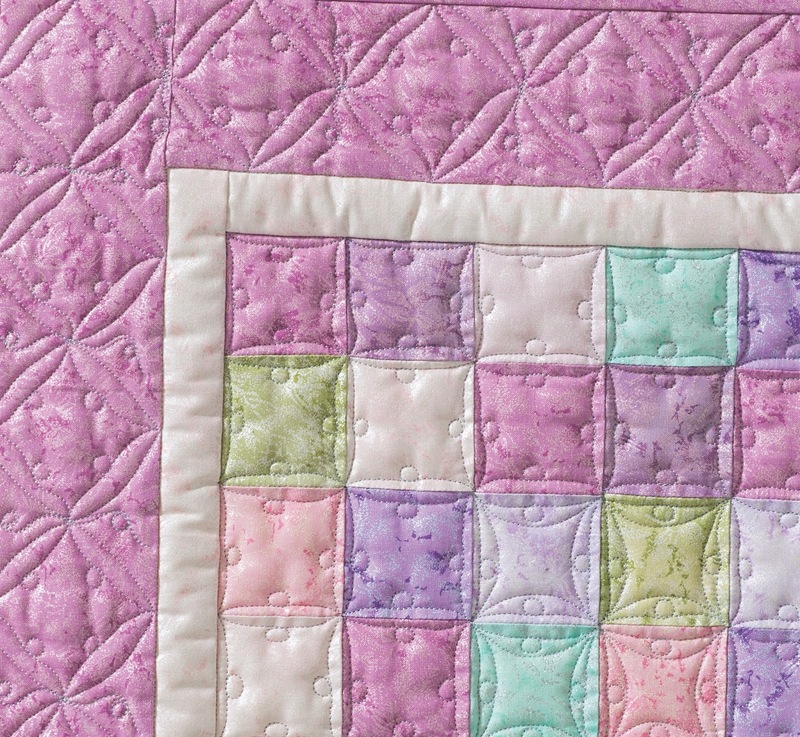 She designed a foundation paper-pieced Grand Teton block. I decided to go with a food theme. 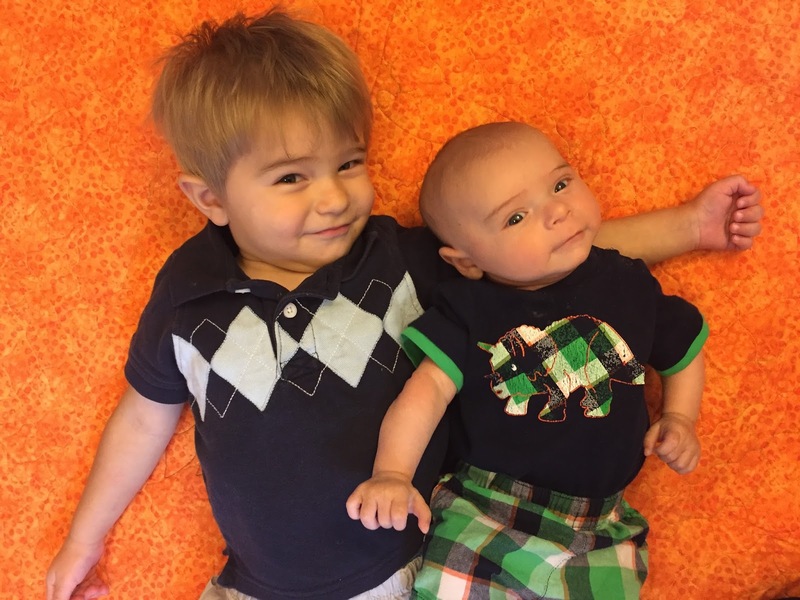 Cade turned two. His skills include taking off both shoes and socks in the van and launching them into the best hiding spots, as well as 100% accuracy in making sure that the one button he pushes in an elevator is the one that calls the emergency operator. Declan is coming up on his third month. He's nursing better, thank goodness. 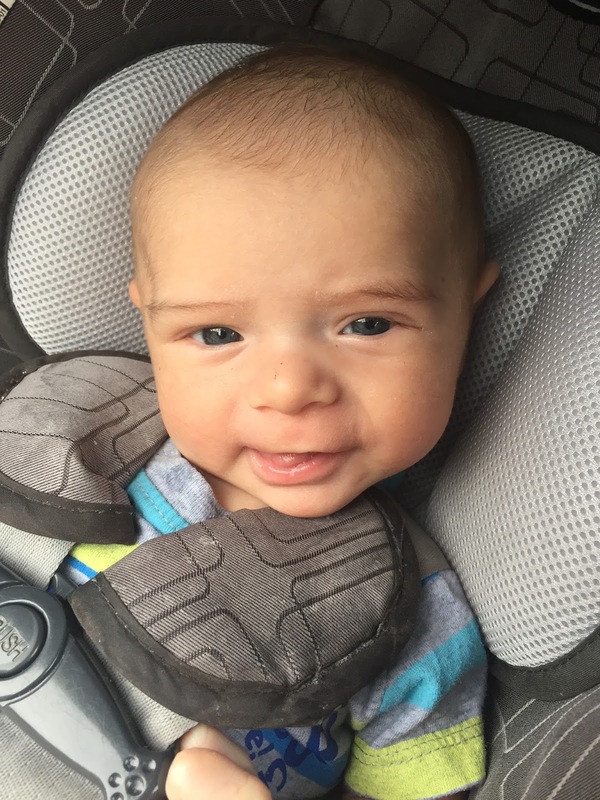 He's gained three pounds, bringing him up to the first percentile. Way to make it on the chart, Wee Smidgeon. My seven year old lives for Minecraft and the four year old made it into a free charter preschool. They wear uniforms. She insists on wearing her khaki skirt backwards so it looks like a pencil skirt in the front with pleats in the back. Even if you get her righted out in the morning, she'll twist the thing around the first time you let her sneak off to the restroom. 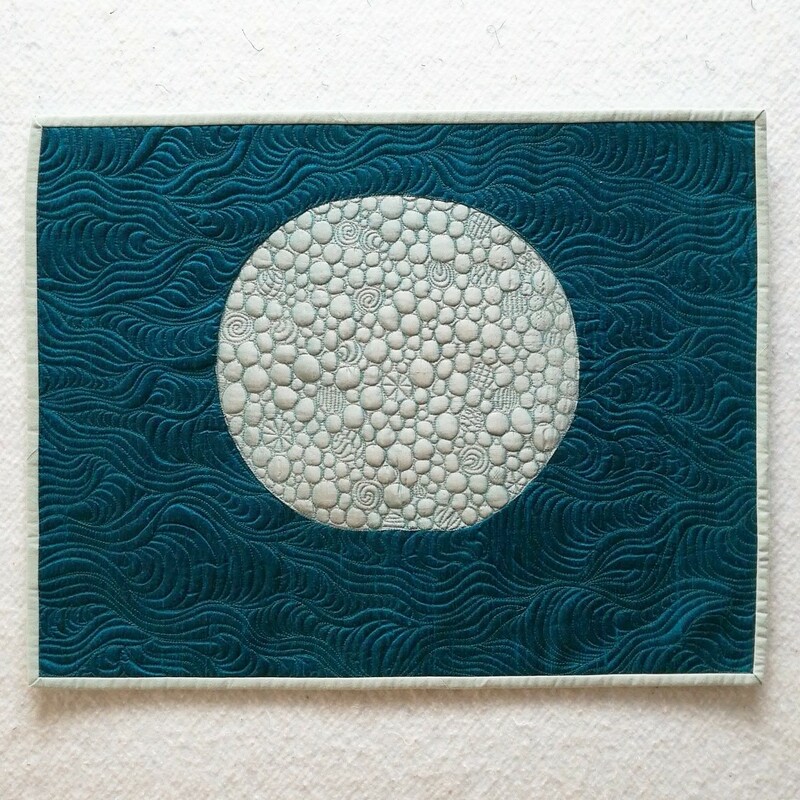 The Blue Moon Quilt Group had a recent, moon-themed swap. I decided to bust out my silk stash. 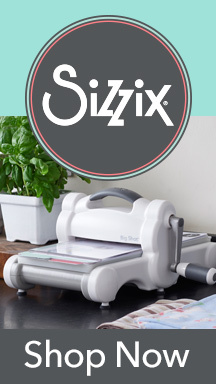 Except, you see, I don't know a thing about using silk. But I do like how well it shows off the texture brought out by quilting. I discovered that it's prone to puncture wound via needle, likes to fray, and doesn't respond well to a glue stick or seam ripper. I wanted to highlight the free-motion, and used Dale Fleming's method for piecing the circle. You can see the other quilts at Renee and Yvonne of Quilting Jetgirl's posts. At times, I feel like blogging mommy topics, but it's a tricky realm to not get wildly controversial, as options vary widely. (Maybe it's my heart's secret desire to YouTube myself trying out all the toys so I can justify having them. 😉). 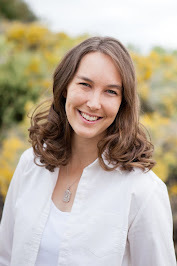 There's a local group that tackles parenting topics with more tact than I'm prone to have, the Albuquerque Mom's Blog. The group recently organized a much-anticipated Mom's Night Out at the Spur Line Supply Company, which is like a well-curated Pinterest board come to life. I am very grateful to have won Invisiline treatment donated by Cornali & McDonald, and am looking forward to straighter teeth. Another event I recently attended was the Femcity Business Expo, which brings up a question for all of you. 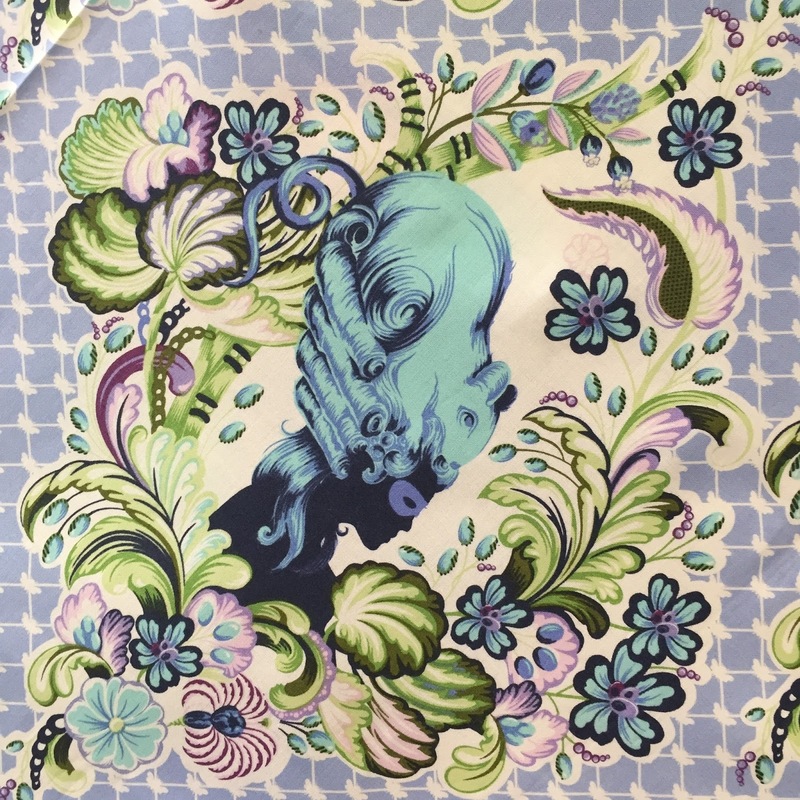 How do you go about introducing non-quilters to what you do without it taking a, "I have this giant bag of t-shirts..." direction? While I respect the craft of making t-shirt quilts, it is in the same way as I appreciate a fine pant hemming. 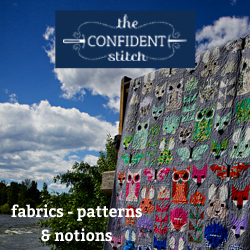 I hope you will all listen to the verbal workings of a sleep-deprived fabric enthusiast come Monday. 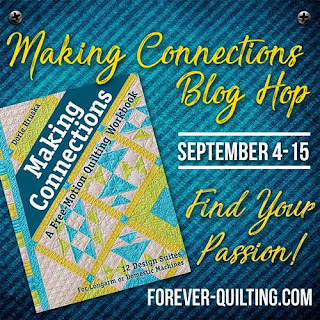 I'm excited to be joining in the Making Connections Blog Hop. 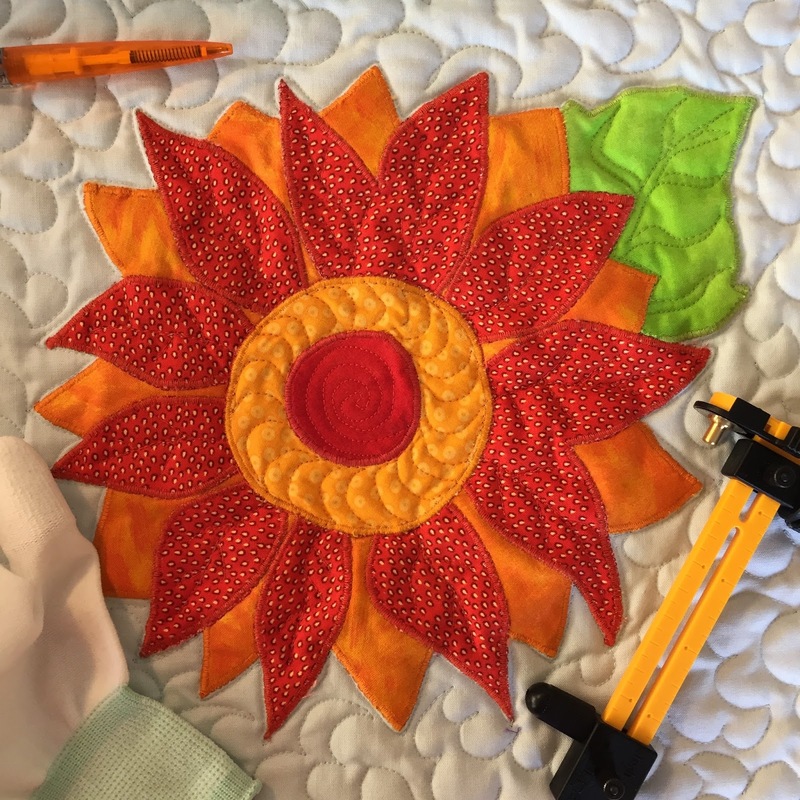 Dorie Hruska of Forever Quilting was kind enough to allow me a sneak peek at her practical workbook. Making Connections introduces an entirely new approach that can be applied to specific shapes or open spaces marked with a grid. 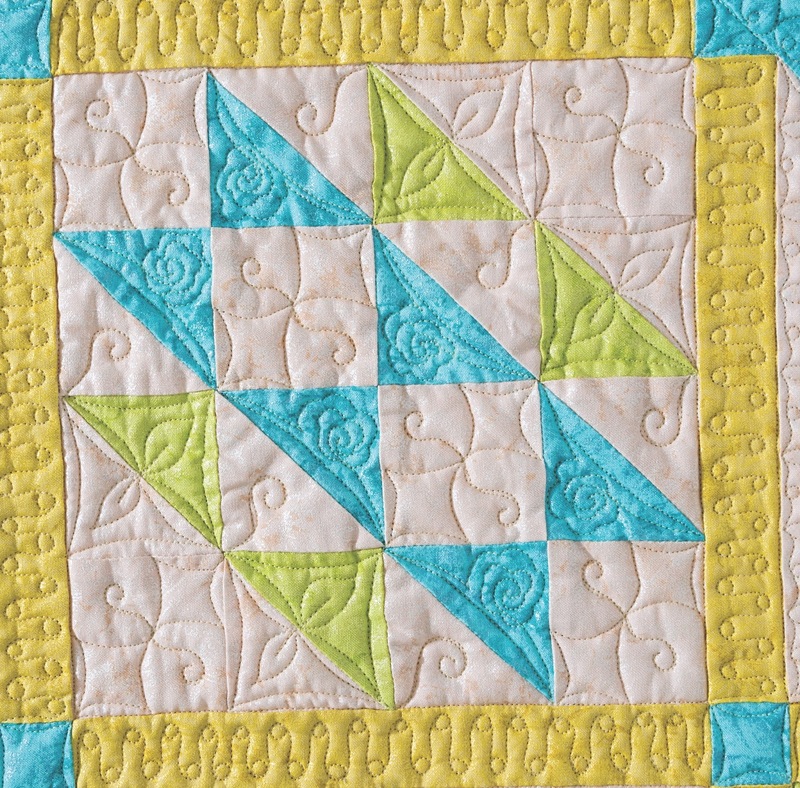 Dorie shows you how to employ 12 different connecting designs while minimizing starts and stops by using intentionally planned continous paths. She walks you through the steps with numbered diagrams and spaces for you to sketch out the designs. 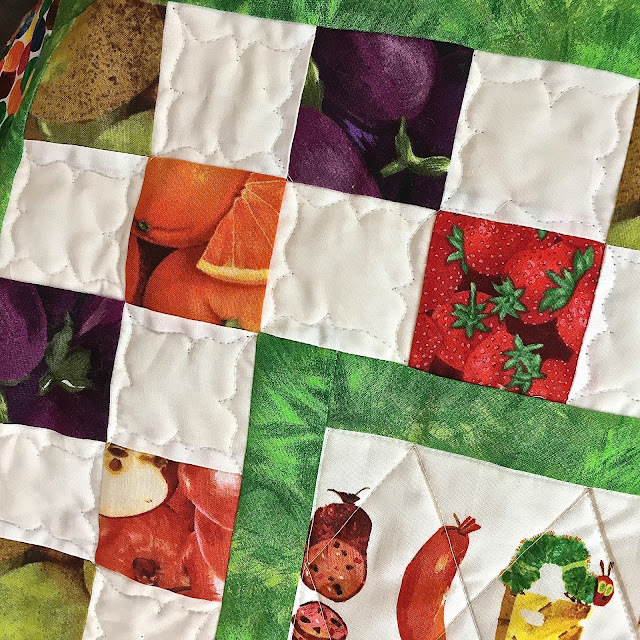 The cover quilt pattern is included and ties all the skills within the workbook together. Dorie's aim is to help you build muscle memory of the process, as shown in the following YouTube video. 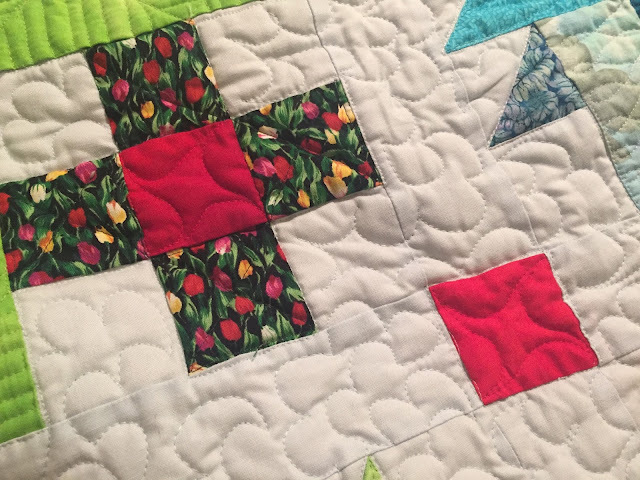 I enjoy quilting that accentuates the piecing in a quilt or creates a meaningful secondary design, rather than simply going over the top with no regard for the piecing. Making Connections gave me new tools for making that happen. I also appreciate how Making Connections made me more aware of more efficient options for charting my course across a quilt top, which saves me numerous lose threads to tie off or a whole bunch of backtracking. 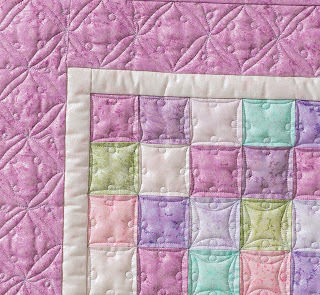 Or you can navigate complex piecing without tying off using an assortment of multi-path designs. 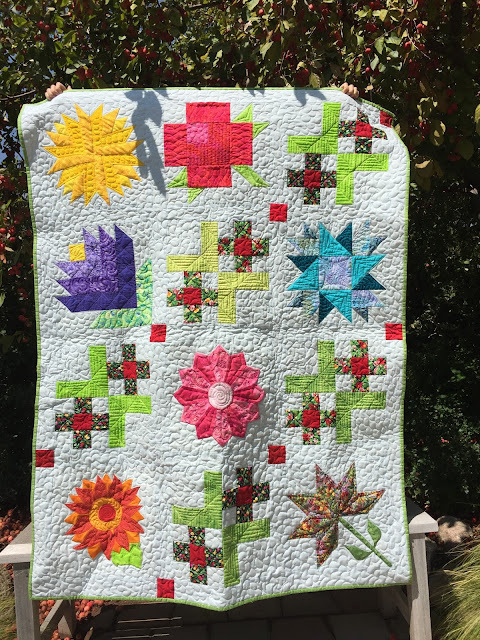 You may remember my shamefully put-aside floral sampler quilt I finally wrapped up. I was able to test out the Connecting Waves design in the red squares. Unfortunately, since they were isolated squares, this quilt did not take advantage of all the book had to offer. Eager to try out my skill at navigating a continuous path, I began quilting another member of my UFO society, my Hungry Caterpillar quilt, with the Connecting Brackets Design. So what's next? You may have picked up on a continuing theme here --- UFOs. I have another Saturday Sampler that's been hanging out (in the literal sense of being on a hanger in my sewing room closet) waiting for me to give it the time of day in terms of free-motion. 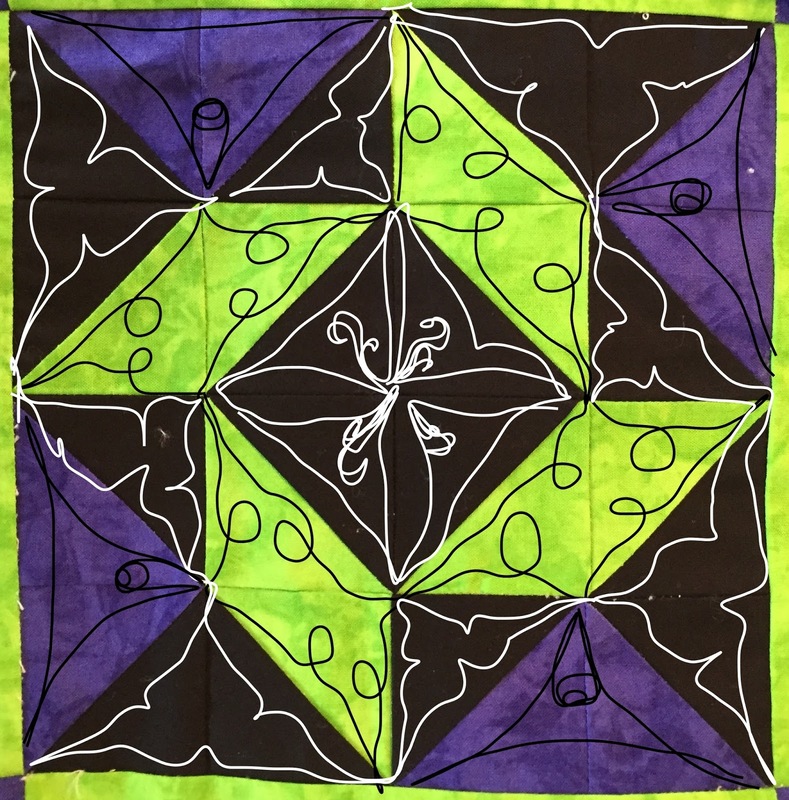 This one is especially suited to Dorie's technique for approaching pieced sections. I opened a photograph of one of the blocks in Preview (a Mac app) and ran through a connected path using free-motion designs introduced in Making Connections. Every block is different, so I'll be doing some more playing around in the days to come. 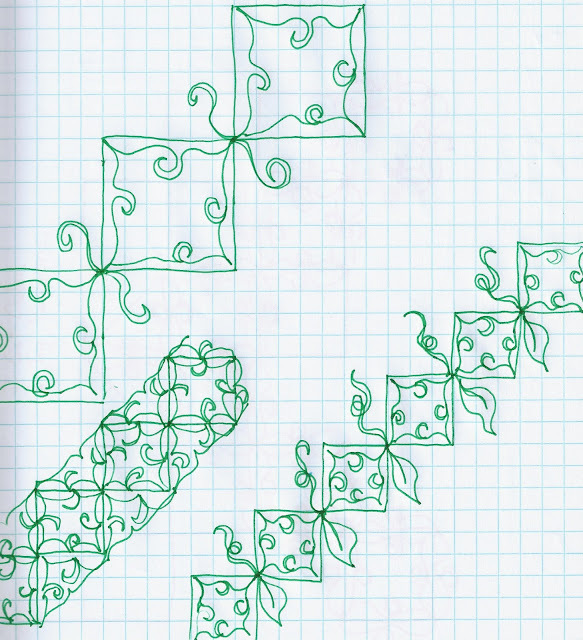 Drawing helps me chart a course so I'm mental prepared when I approach the actual quilt. Fortunately, I'm more steady with fabric under a machine than I am with the mouse pad on my laptop. I received an electronic review copy of the book, but I would recommend choosing the non-electronic version since it is a workbook filled with practice pages that will otherwise need to be printed to complete. If the idea of marking in your book feels too rebellious for your tastes, use an overhead sheet placed on the page and a wet-erase marker to practice the designs while leaving your book as good as new. Another option is to practice in a graph paper composition book. You can purchase a signed copy of Making Connections from Dorie, or buy the book from C & T (30% off when you sign up for the newsletter) or Amazon (affiliate links). Also, check out the wonderful projects all the other participants have been making. One of the local quilt shops hosts a Saturday Sampler program. You pay a discounted cost up-front, and then meet monthly to show off your completed block and receive instructions for the next month. 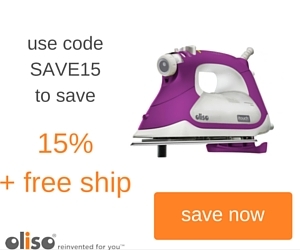 If you keep up, there isn't an additional cost. If you don't complete your block in time, you pay a small fee to be reinstated. Unfortunately, I stalled out at the last month. In this particular year, the finished look was kept secret until the end. In the manner of a mystery quilt, I had hoped all the parts would make a sensible whole. 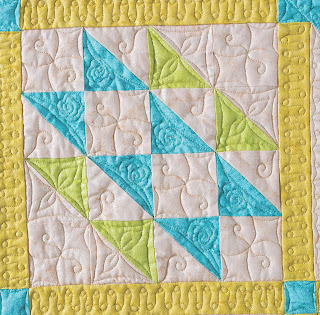 Come the last month, we were given a much larger allotment to complete with a generous amount of appliqué, and I discovered that some of the blocks looked a bit misplaced since they didn't have the same background color. While it can be attributed to personal preference, it was enough to stall me out for some time as I fought to convince myself that the completion would be worth the effort even though I was unenthusiastic. A few years later, or perhaps half a decade if we're being honest, I had a revelation. I could repair the blocks that had some construction issues (Thankfully I've improved over that stretch of time.) and omit the ones that I didn't feel enhanced the overall effect. Even better, it would result in a smaller quilt--one I would feel more confident quilting. 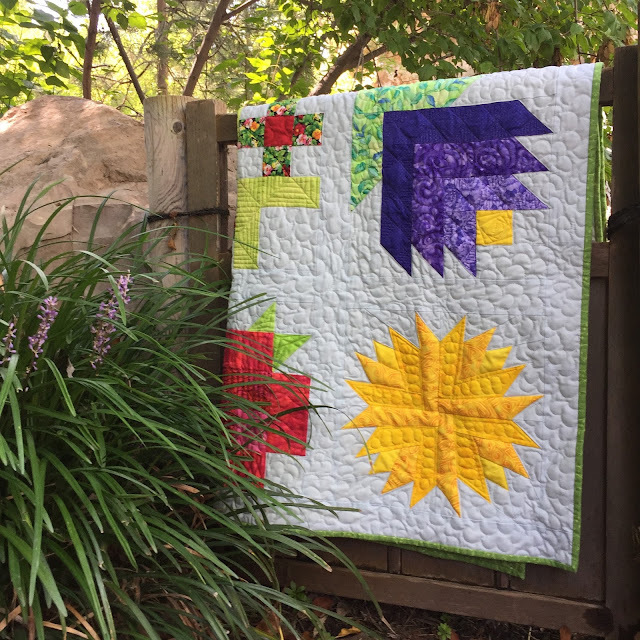 You can see the quilt as designed on the shop's website. However, I'm much happier with my edited version. As far as the extensive incomplete appliqué, I decided I didn't feel like making it. Ha! 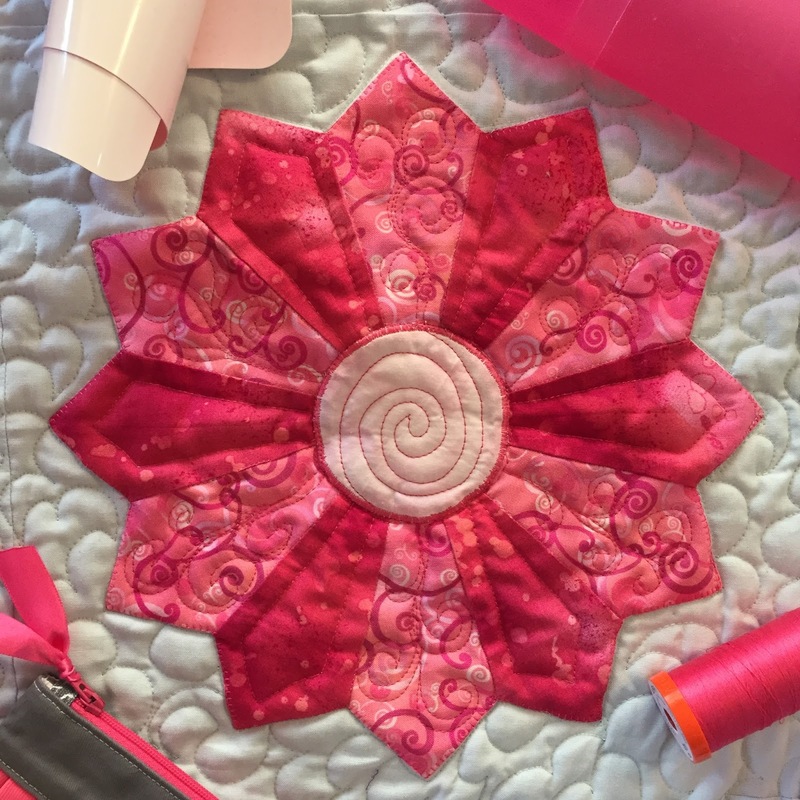 I'm the master of my quilting destiny. 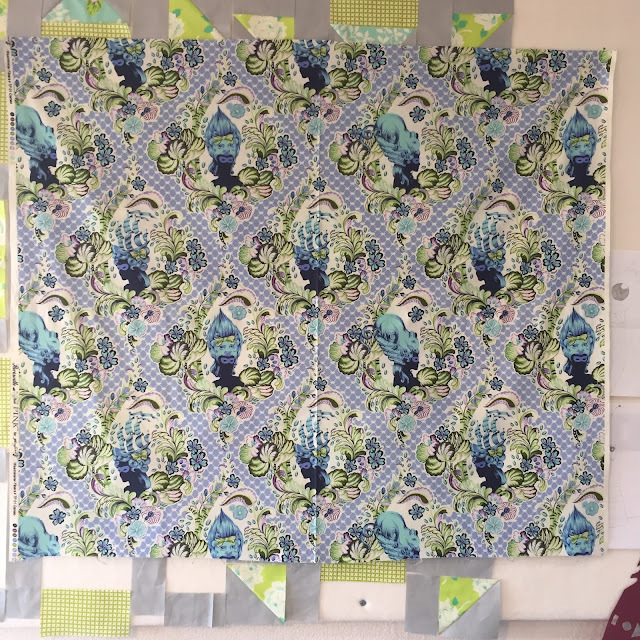 I realized a finished quilt is much better than pieces for one that holds the potential to follow all the rules, but will never ever get finished. 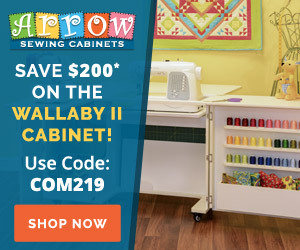 I brought forth my trusted rainbow of Aurifil 50 wt cotton threads for the free-motion. 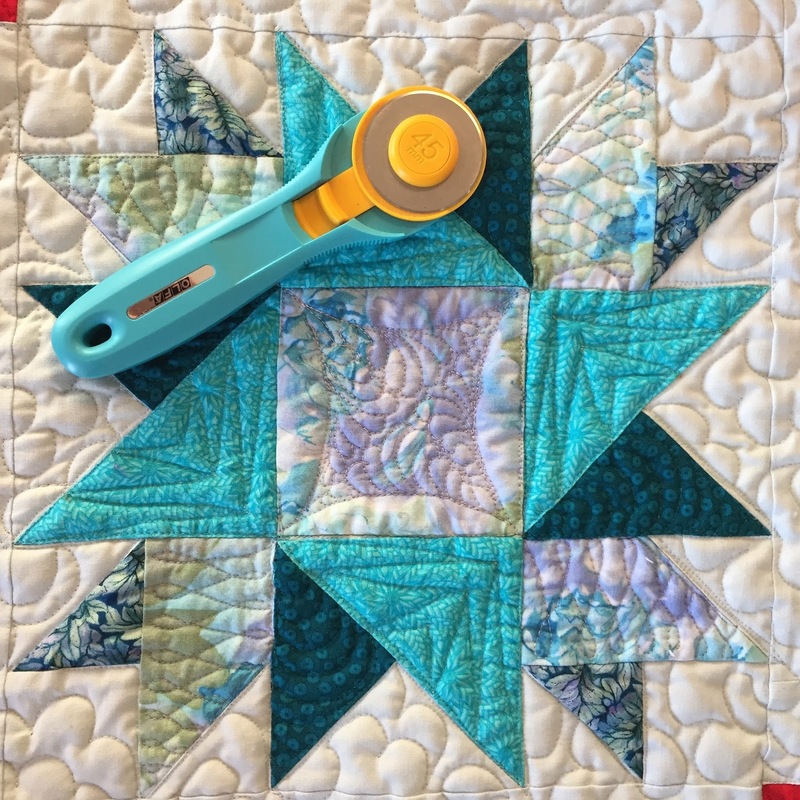 The bobbin thread matched the light blue background, and I kept it the same color for the entire quilt. For the top thread, I roughly matched the fabric colors to emphasize the texture created. 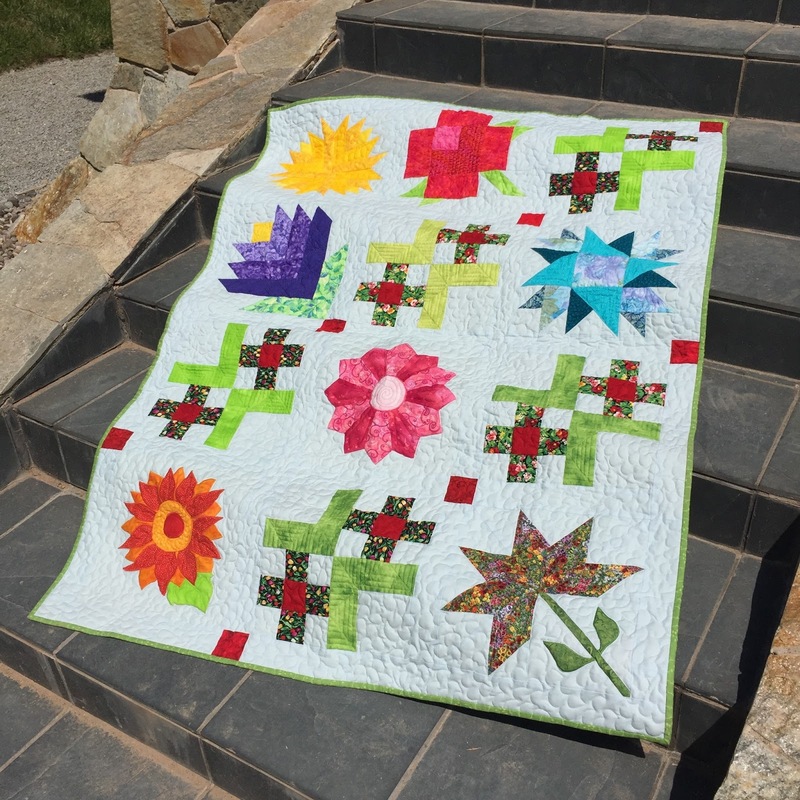 The background quilting is a flower spiral, while my other designs are an assortment. The red squares have a design from Making Connections, which I'll be reviewing here on the 14th. How about some zoomed in action? Samplers really are great for trying out different free-motion designs. I'm so glad I finally broke through the trepidation, let go of the inclination to do things exactly as prescribed, and wrapped this baby up. What about you? 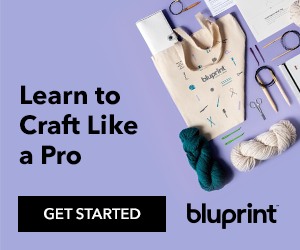 Do you have any projects that you can't bring yourself to complete? What's holding you back? As the official mascot of UFOs, I promise I won't judge. Did you fall out of love, get busy with life, realize you were in over your head, or simply start something else for the sake of it? In support of Houston, I'm auctioning my coveted, insanely rare oversized yard (38" x width of fabric) of Tula Pink Parisville Cameo in Mist. 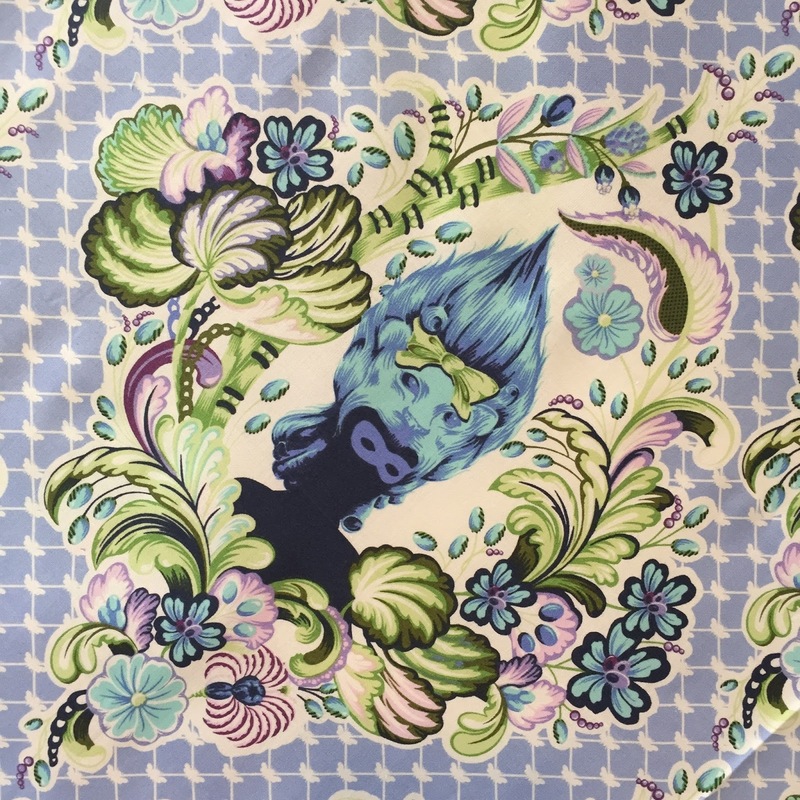 Check it out on my Instagram account @quiltingmod or put a bid in the comments here and I'll post it for you if you don't have an Instagram account. Money will be donated to the Houston Food Bank. - Auction begins now and will end on Monday, September 11th at 12 am MT. Please share with friends so the most financial good can be accomplished. After all, this is my magnum opus of hoarded material!